New Django, Python 4 Talk, and much more. 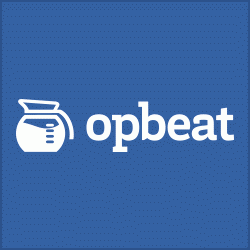 Opbeat for Flask is now out of beta. Powerful performance monitoring, error logging, release tracking and workflow for Django & Flask. This is amazing. A friendly Python API for physical computing with the Raspberry PI. Check it out. Check out the new hotness in Django 1.9. Upgrade your versions or click through for more details! Wondering what python packages are installable on PyPy? Check this out. A cross-platform curses-based system monitoring tool written in Python. Let's Encrypt is incredible. This tiny script can be used to issue and renew TLS certs from Let's Encrypt. Examples of Microservices written using Flask. A distributed, open source, package manager for C/C++. Interesting. Python Module to get Meanings, Synonyms and what not for a given word. Your Python module dictionary! Python wrapper around RapidJSON. RapidJSON is an extremely fast C++ json serialization library. This project boasts "How to turn your database into a ReSTful API in under 10 lines of code" check it out! Easy to configure Python program that make use of Google's DeepDream. This is pretty cool. If you are looking to create distributable standalone apps for OSX this is the article for you. In this tutorial the author creates a simple Tkinter mac desktop app and packages with py2app. Some thoughts from core Python developer Brett Cannon of how he would design Python's import if he were starting from scratch. A look at Django REST Framework performance and how to fix some common performance problems that pop up. Can we do an issue without explaining List comprehensions or decorators? Probably not! This is another nice article looking at List Comprehensions in a visual way. Introduces a pretty cool tool called redislite and teaches how to use it to solidify your redis code base. This post looks at how Numba can be used to speed up a finance example with minimal effort. So cool. See the actual rules that classification trees use!